I’ve always listened to music while working – around the house or in the studio – doesn’t everyone? Housework is just more fun tolerable when done to the beat of an uptempo pop/rock song. For years I’ve found ironing (yes, I do iron) and Paul Simon go together like peas and carrots. And back in the day, when I painted, it was to a musical backdrop of 50s and 60s oldies. For quite a while now I’ve been in LOVE with bluegrass gospel. And I mean LOVE. Every banjo pickin’, four part harmonizing note of it. 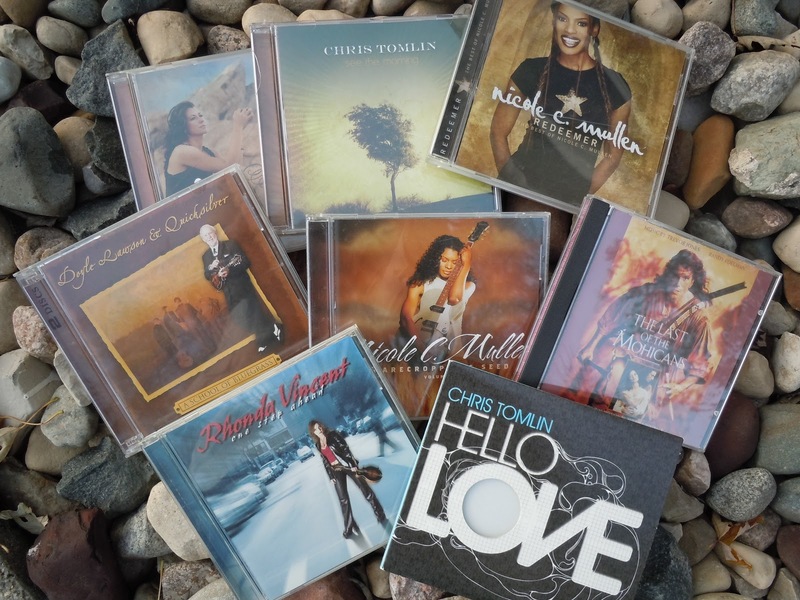 Closely following Doyle Lawson and Rhonda Vincent on my quilting hit parade lately are some contemporary playlists and these three artists: Nicole Mullen, Chris Tomlin, and Amy Grant. Their music sets my creative mind soaring, and listening to it I feel wonderfully open and focused at the same time. But I can’t just listen. Usually I’m singing along, sometimes having to stop mid-project to just sing, moved by the emotion of a song. A lot of thinking gets done while I’m sewing and singing, too. That’s my kind of multi-tasking! In a quest to up my creative game I decided to listen to the (all instrumental) soundtrack of the movie “Last of the Mohicans.” Does that count? Maybe not since I kept being distracted by thoughts of what scenes the music went to. A flawed experiment, I guess. So back to the bluegrass. Back to the uptempo pop – hello Bruno Mars!